It’s no secret that many early settlers in Dry Creek Valley were primarily of Italian descent. The gentle rolling hills dotted with forests and vineyards were no doubt, reminiscent of Tuscany. As a matter of fact, Primitivo, aka Zinfandel, has been planted here since the 1880’s and thrives in the warm dry micro climate of the Dry Creek Valley. For Zin lovers, another fun winery is Wilson Winery, replete with fabulous vistas and an array of award-winning wines to match. Upon arrival, there’s a sense of playfulness in the air. Perhaps it’s the gigantic 26′ tall coyote iron sculpture howling above the grounds or perhaps it’s the Old Vine Zinfandel that is calling your name. No matter, Wilson Winery is sure to satisfy. Taste the estate Chardonnay, Sauvignon Blanc, Petite Sirah, Rockpile Zinfandel and Cabernet Sauvignon on the decks overlooking the vineyards. Picnic lunches are recommended and well-behaved dogs are welcome. Sharing a tasting room with Truett-Hurst Winery for the moment, VML Winery has recently moved up to Dry Creek Valley. You won’t find any Zinfandel or Cabernet Sauvignon here though. VML Winery‘s elegantly handcrafted Chardonnay and Pinot Noir are pure expressions of the neighboring Russian River Valley namesake grapes. With wines on the lighter side, refresh your palate with VML‘s Blanc de Noir Sparkling wine or try the Sauvignon Blanc, Gewurtztraminer or Rose of Pinot Noir. Bring your glass outside to enjoy the organic garden and mini farm or meander down the path to the banks of Dry Creek. On weekends, there’s local music talent and plenty of seating. The Truett Hurst Winery compound is situated on 26 acres, planted mostly to Zinfandel and Petite Sirah. The Zinfandel vineyard is a medley of two Old Vine Zinfandel vineyards, interestingly, planted with the native Italian Primitiv0 clone. 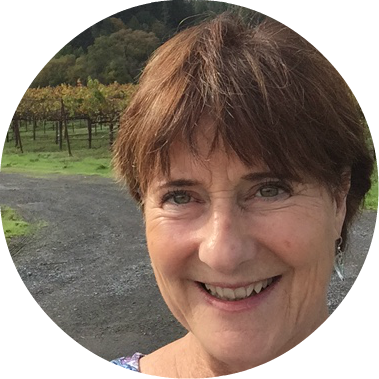 Besides Zinfandel and Petite Sirah, Truett-Hurst Winery produces Sauvignon Blanc, Gewurtztraminer, Chardonnay, Pinot Noir and Cabernet Sauvignon under Winemaker Virginia Lambrix, who has her own label, VML. With over 50 wineries in Dry Creek Valley AVA, there is much to explore and to enjoy. The Dry Creek General Store is located midway down the valley and has a wonderful selection of picnic foods to compliment a day of wine tasting.